Coombe Estate, Croydon, Surrey, was purchased by Arthur Lloyd c1898. He built a new 20-room mansion, and made a number of improvements to the existing gardens, including the construction of an ornamental rock garden, complete with a pool and waterfall, which carry all the hallmarks of a Pulham creation. 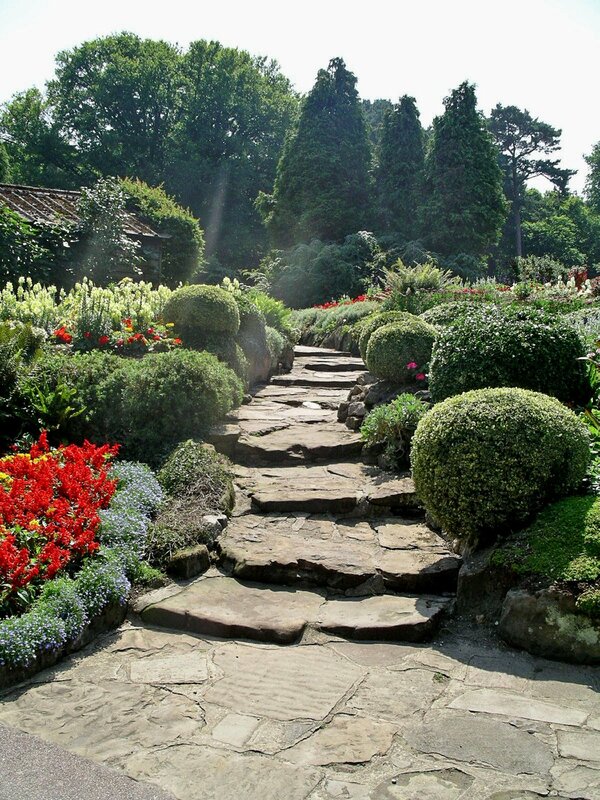 The paved pathway, shown in Fig 1, leads up from the Pond, and through the rock garden by the side of the stream, with Pulhamite rocks with planting pockets along both sides of the path. This leads steadily upwards to the remains of what used to be the waterfall, which stands about 8ft tall, although it was not working at the time of my visit because the watercourse needed to be properly cleaned out, and the pumping system was also in need of repair. The pathway branches off to the right at this point, and passes through a small ravine (Fig 2) on its way to link up with the main park area. Another path at the top leads down to the right, past an old gravel pit, in which was once housed the old stable block – now a small café – and back to the entrance pond. There is a Terrace Garden on the opposite side of the entrance path from the Pond. 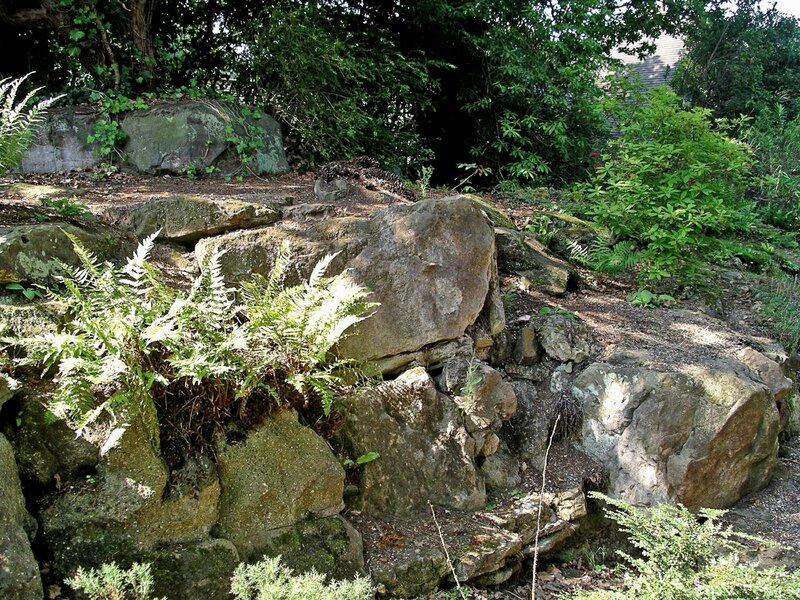 It is laid out on what is now called ‘The Mound,’ with a rustic path and steps – shown in Fig 3 – leading up to what used to be the ferneries at the top, although these no longer exist. It is a vintage Pulham scene, and I concluded that it was probably constructed on the spoil shifted out from the rock garden. 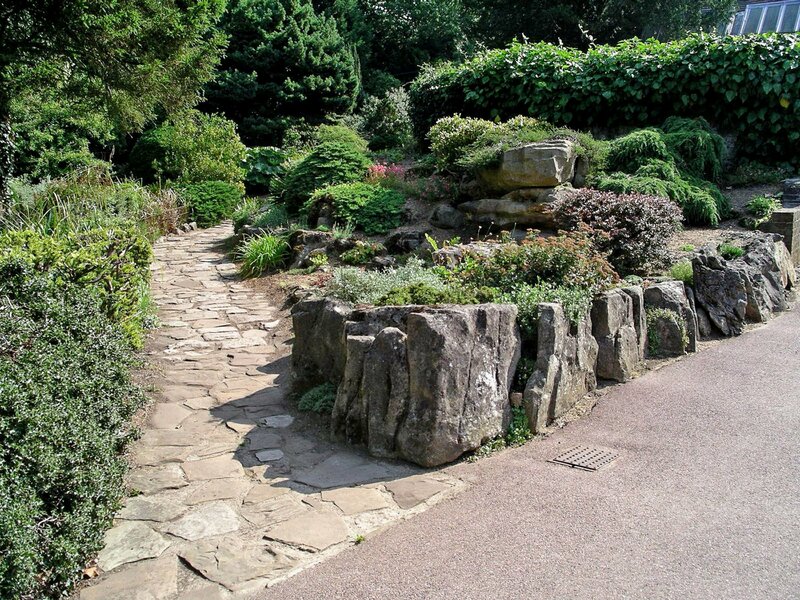 Posted on January 30, 2012 June 4, 2016 by Claude HitchingPosted in Sites Month 2Tagged . . James Pulham and Son, Arthur Lloyd, Coombe Wood, Croydon Borough Council, ferneries, pulhamite, rock garden, terrace garden.